Educating ourselves in order to understand the lives of others. This week could prove to be important in the lives of many of the world’s poorest children. I have written several times on this blog about the Education for All goals, established to improve the lives of children and families around the world. At times I have discussed the alarming statistics, such as those contained in the 2014 UNESCO Global Monitoring Report, that suggests that whilst progress has been made, this is at an alarmingly slow rate. Too many children continue to live in poverty, have no opportunity to go to school and are subjected to hunger, violence and a lack of adequate health care. In New York in the coming days, representatives of United Nations member governments will be coming together to discuss the updating and future monitoring of the EFA goals. National governments are being asked to identify their own priorities and the actions they plan to take towards implementing change. High on the agenda is the development of universal education and an assurance that all children have an opportunity to learn and acquire the skills, knowledge and understanding to contribute to the lives of their families and countries. Education alone cannot address the ills of the world. Natural disaster, conflict and political instability are all factors that impact upon the potential for improving children’s lives. However, without education the task is so much greater. 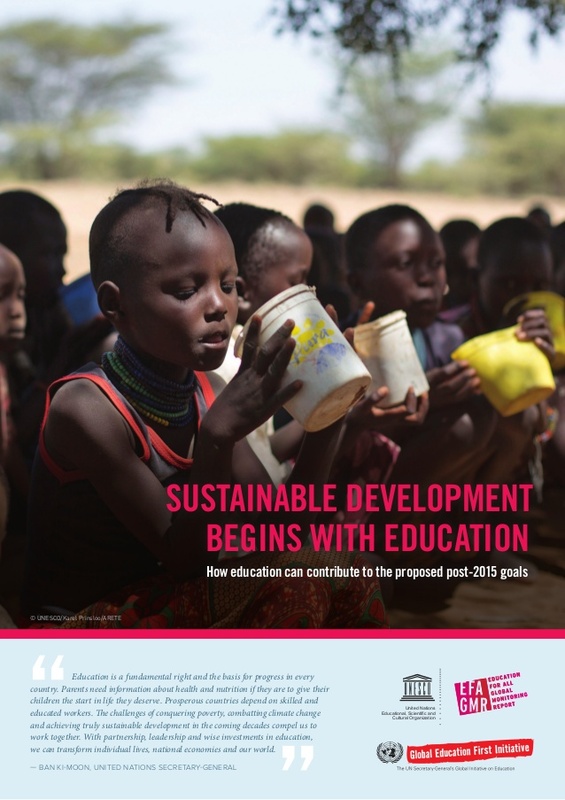 A new publication from UNESCO, Sustainable Development Begins with Education: How education can contribute to the proposed post-2015 goals, provides both interesting statistics, and evidence for the ways in which the provision of education can impact upon a vast range of issues. These include the rights of women, environmental stability and climate change, economic well-being and poverty reduction, all of which are so dependent upon an educated population to ensure progress. It is, of course easy to become cynical and to sink into despair when considering the state of the world, and the apparent indifference often shown to such overarching issues. However, if change is to occur, we must surely begin by educating ourselves about the current situation and the impact upon the lives of those who either receive an inadequate education, or no education at all. Whilst many of the EFA goals have not been achieved, we should acknowledge the tremendous commitment made by some governments, non-governmental organisations and dedicated individuals that have resulted in positive change for many children. A few days ago a colleague proposed that the setting of new post 2015 goals would have little impact and that some countries will sign up to these with no intention of effecting change. In ten years time, he suggested, the same countries will be in the same decrepit state or even worse. He may be right, but the alternative is simply to ignore the challenges, claim that this is not our responsibility and to remain in ignorance of what needs to be done. Change through education begins when we educate ourselves, and recognise the significance of the difficulties faced by many of the world’s children. It must obviously not stop at that point, but unless we equip ourselves with this level of knowledge we remain unaware of the starting point for change and less likely to work towards improving the lives of those in the greatest need. There is a great danger in believing that the situation experienced by the poorest people in the world has little to do with us in our state of relative comfort. However, history shows that conflict that begins in those states where people are dispossessed or feel that they are oppressed by corrupt and uncaring regimes, quickly spread and impact upon the lives of those much further afield. To suggest that this is not our problem is both disingenuous and naïve. If you also believe that educating yourself about the challenges faced by children living in poverty and without adequate education is important, you might take a few minutes to read the latest UNESCO document, and to watch the brief attached video recording. A new year begins. What will it bring to the lives of children? I like to think that I am by nature an optimist. I tend to believe that problems exist to be confronted, and that people are generally good and willing to work together to improve the lives of others. But having said this, I must confess that I find that the newspapers at the end of one year and the beginning of the next can sometimes dent my otherwise sunny disposition. In many ways it would be a good idea to steer clear of the journalistic harbingers of doom for a few days, at least until the depressing review of the old year and predictions for the new are well out of the way. However, I think there may be a different way of dealing with the woebegone soothsayers of newsprint, so long as we are prepared to recognise that their apocalyptic auguries are not necessarily reliable, and are entirely dependent upon the inactivity of every individual who can make a difference. I long ago gave up on on making New Year’s resolutions. It seems to me that most of these were generally destined to be forgotten or discarded by mid-January, and that those which were maintained were often of no real substance or consequence. Here again the media do not help by informing us of the new year pledges made by numerous “celebrities” as if their virtuous intent was something with which we should be amazed. (Am I the only one for whom the term “celebrity” often refers to someone of whom I have never heard? – perhaps I should get out more!). However, the notion that we should occasionally stop and reflect upon our own situation, and that which affects the lives of others, is of itself, no bad thing, and perhaps an indicator that we might do this more often. 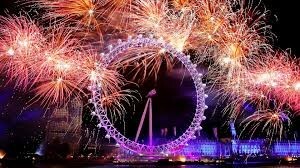 Whilst New Year appears to have been hijacked as a time for such activity, there is, of course, no reason why we shouldn’t undertake such cerebration at any time. Education prevents the transmission of poverty between generations. Equity and inclusion in education are crucial for enabling the best possible learning outcomes. Education helps women have a voice. Equitable education service delivery is critical to tackle the roots of discontent in cities. Education helps reduce political corruption. As stated, each of these statements is accompanied by brief examples to illustrate the truths that they contain. UNESCO suggest that the knowledge that education has an impact upon these, and other issues, should help to spur policy makers and professionals forward to create the conditions that enable progress to be made. I suppose it might be said that everything suggested here is obvious, and that the people who read this blog are those who would share such sentiments, and already have a commitment to support the moves that would promote change. This is quite true, but maybe this is because of the limited way in which we conduct our professional conversations and actions. Here then is the suggestion that I promised above. I suspect that on issues of education, equity, poverty and social justice many of us spend most of our time talking to other like-minded individuals. This is in part a result of the professional and personal circles in which we rotate and the fact that most of us belong to the tut-tutting classes who express our concerns for the state of the world. So perhaps we need to rethink our own behaviours and to consider the ways in which we commune with those who are less aware of the issues facing children, and the possible consequences of taking affirmative action on behalf of education. Maybe we need to find those channels, which far from preaching to the converted, may lead us to sup with the devil and increase his (or her) awareness of the difficulties faced by many children and the important role that education can play in improving their lives. After all, it is not individuals like you that are inhibiting progress, but it may well be others who are less aware or prefer to remain in ignorance of those issues that you are attempting to address every day in your classrooms, or elsewhere in your life. For those of us working in academic institutions, this might present many new challenges. We are expected to attend the conferences, publish papers, write books and give lectures to those who are already likely to give us a sympathetic hearing. We may therefore need to find new means of communicating with those who may be less inclined to hear and more oppositional in terms of the ideas we wish to express. Such activity may afford us new learning opportunities and help us to become better informed in addressing those issues for which we claim to carry a torch. I am not suggesting that I have the answer to how we might move forward. All suggestions for how such a task may be confronted will be gratefully received. Maybe we can review progress at the end of 2015. 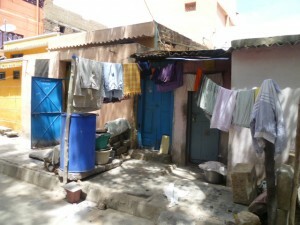 Are the people who live in this slum community to be blamed for their own poverty? There appears to be some who would suggest that this is a reasonable argument. Several months ago on this blog I wrote a series of short pieces in response to the Global Monitoring Report on progress towards the Education For All (EFA) goals (February 2014). This report considers the actions taken to improve educational opportunities focused in the main on those who live in socio-economic disadvantage or in areas racked by conflict or natural disaster. The EFA goals are to be revised next year with a new programme of actions to be announced by UNESCO which will hopefully renew the focus upon the state of the world’s children. Amongst the many criticisms of the Global Monitoring Report was the lack of attention given to children with disabilities who constitute a significant proportion of the world’s children who are out of school. Placing an exact figure on this excluded group is far from easy, but I was reminded in an email earlier this week by an esteemed colleague, Professor Peter Mittler, that a lack of focus upon this population devalues the interpretation of the statistics provided within the UNESCO report. There can be few individuals who have campaigned more avidly for the educational rights of disabled children over the past fifty years, and in my experience, when Peter expresses concerns we should all take notice. Peter had been prompted to write to me on seeing the programme for a seminar held at Cambridge University at which I had been invited to speak on the topic of respectful research when working in international contexts. Quite rightly he was not particularly interested to hear what I had to say, but far more concerned that this seminar should place the issue of the education of children disabilities at the centre of debate. 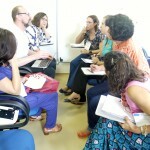 The seminar, sponsored by the British Association for International and Comparative Education (BAICE) had the title “Education for Social Justice: Framing an Agenda for Disability Research and Action in the Global South” and brought together representatives from Non-Governmental Organisations (NGOs) and academics researching in the area of children’s rights, inclusion and disability. I must say that these types of events are often characterised by the generation of a lot of hot air and it is not unusual to come away feeling quite frustrated that little of substance has been discussed, and that our understanding of issues has failed to move forward. Yesterday’s event provided a very pleasant exception to this rule. 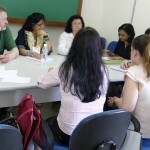 Unlike many seminars dealing with complex issues, those in attendance at this event were prepared to engage in critical debate and did not steer clear of controversy or contention. Professor Pauline Rose (to whom I am not related) confronted some of the concerns about the UNESCO report, accepting that when the 2015 goals are constructed that there is a far greater need to place an emphasis upon disability issues. She was able to present some proposals for these goals following recent discussions at UNESCO that did indeed appear to recognise previous shortcomings. By far the most lively debates were provoked by the paper given by Professor Helen Penn who presented a critique of the ways in which international non-government agencies have, in her view, pandered to the political agendas of governments, and complied with them in the implementation of narrowly focused and short term strategies of early intervention that place a focus of blame for poverty and exclusion on the very people who are living in destitution and marginalisation. Helen’s paper raised hackles, and especially and not surprisingly amongst the NGO representatives in the room. As often happens in the heated debate that followed, some of the rationality of discussion was slightly lost in emotion. But I think that, whilst not agreeing with everything Helen had to say, she raised a number of important points. We have certainly seen in my own country a government that has identified those who live in poverty and others who have needs associated with disability being labelled at best as feckless and in many instances singled out as scroungers and negligent in terms of their personal responsibilities. The move from a caring and humane society to one that seeks scapegoats and apportions blame to the most vulnerable within the country has happened relatively quickly. Helen demonstrated how this is fast becoming a universal trait and that at a time when more people are gaining in wealth and social prosperity, the gap to those living in need is widening and the willingness to improve their circumstances has waned. Helen’s argument is that governments, needing to be seen to take action have looked for short term solutions that emphasise the ineptitude of those in need, rather than attempting to address issues of wider societal change. Hence, for example, a focus upon early intervention aimed specifically at those described as having disabilities, special educational needs or sociability difficulties, which are very visible as actions, rather than addressing wholesale societal change to create greater equality and social justice. I think that probably most people in the room could agree with much of what Helen had to say. For the representatives of NGOs the uncomfortable feeling that they were in some way complicit in this situation did not sit easily. Personally I felt that those of us in the room who are employed as researchers or academics had no reason to feel guiltless in this situation or complacent about our roles. It is too easy as a researcher to sit on the side-lines and observe what is happening without having the courage to comment on that which we see as having a negative impact upon the lives of children. The revised goals to be provided in 2015 will be welcomed as a renewal of focus upon critical issues. They will however, only have an impact if more people engage in debates of this nature and make a commitment to get involved in working towards change in the lives of children who remain marginalised in all our countries. If we simply sit back and watch as our political masters continue to blame the most vulnerable members of our society for their own difficulties, rather than challenging this current trend, then we do a disservice not only to those in our classrooms, but also to the dignity of our profession as teachers. 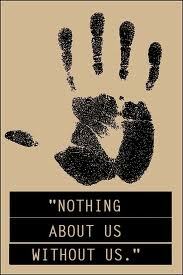 “Nothing about us without us” is a slogan adopted by many campaign groups, including those organised by people with disabilities. A few days ago Tim Loreman, an internationally respected researcher into inclusive education from Canada wrote a thoughtful and challenging reply to my posting titled “Words of wisdom keeping us on our toes” (7th February 2014). He raised an issue that many of us have been aware of for many years but still have some difficulty resolving. 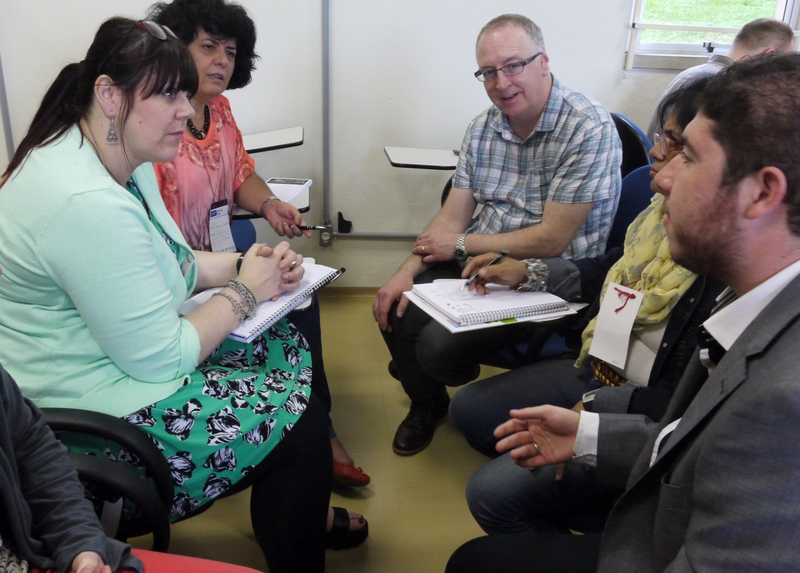 I had written a piece inspired by comments from Professor Peter Mittler, a leading researcher and campaigner for the rights of people with disabilities, in which he had been critical of the UNESCO Report on Education for All. Peter had suggested that children with disabilities were largely invisible in what he conceded was an otherwise excellent report. His criticism implied that whilst the report had dealt thoroughly with issues related to poverty, gender and economic circumstances, all significant influences upon denying children access to education, disability which is an equally pernicious cause of exclusion was given very limited attention. In response I had agreed with him and expressed the view that a lack of data related to disability, cited by the report’s authors was not a legitimate reason for the failure to provide a more detailed discussion of what is undoubtedly a critical issue. “So, on one hand I would never want to contribute to the oppression of kids with disabilities, but on the other hand I think we need to be realistic about the differences that exist and be pragmatic about it. 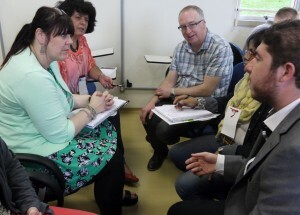 So, should I do research on teacher attitudes towards disability? …you can argue that just doing the research validates whatever views a teacher might hold. But on a more practical level I want to know what those attitudes are and how they might be improved, especially if they are negative. So, I choose to do the research and make the issues visible, but it must be said not without misgivings and there are certainly people who think I should not do it”. Tim’s point about wanting to know how teacher attitudes can be improved seems to me to be at the core of this issue. His work is about improving the lives of children and teachers, and his motivation comes from a recognition that some learners have been marginalised and excluded from gaining opportunities for appropriate schooling. The misgivings that he expresses are surely an important safeguard that we all need to maintain. Last year, along with colleagues with whom I work in Bangalore on the MA in Special and Inclusive Education programme, I attended the Asia Federation on Intellectual Disabilities (AFID) biennial conference in Delhi. This conference sets an important tone for the debate around who should be involved in the promotion of inclusion and the roles that we play. This was the second AFID conference that I had attended and the reason I find it uplifting is simple. The podium at the conference is given to a range of speakers, mainly from Asia who are making an important contribution to the creation of more inclusive services. Foremost amongst these speakers are those who themselves have experienced marginalisation and discrimination as a result of the labels of learning difficulty or disability applied to them by others. The conference provides a shared forum for parents, children and adults with disabilities, teachers, health care professionals, academics and others who have a shared concern to understand the barriers to inclusion and how these may be overcome. The mutual respect that was in evidence across all parties who have a shared motivation was clear. Disability groups across the world have quite rightly adopted the slogan “Nothing About Us Without Us”. The onus is upon those of us working in this area to make a commitment to work and research with the very individuals for whom we express concern and with whom we would wish to demonstrate solidarity. The words that Tim Loreman used to express this dilemma are important and demonstrate why his own motivations for researching in this area enable him to contribute so effectively to the current debates surrounding inclusion. There are times when we all need to take a pause in order to examine our work and ensure that we are maintaining those principles that we claim for the actions that we take. This is an important area for debate and a significant opportunity to increase our understanding. Do feel free to join the discussion. One of the most perplexing aspects of writing this blog is that I am never quite sure about who is reading , what motivates them to come to the text and what they think about what I have written. Of course there are some individuals who post replies quite regularly and it is always good to have an exchange with them through this interesting media. I am informed by the regular analytical statistics provided by the site that since beginning this process about a month ago the blog has been visited by people from 21 countries. Some of these don’t surprise me, being based in England I had anticipated a few visits from the UK and similarly because of my regular commitments in India and Ireland I had thought there might be some interest there. Visitors to the blog from Iraq, Palestine and Botswana and other distant places were not expected, but are none the less welcome. Today I received an email from an esteemed colleague who had read the blog and had been drawn in particular to my postings about the UNESCO Education For All Report. Several of the comments posted in response to my musings on this document have been particularly valued for helping me to move my own thinking forward, but to receive this communication by email added a further dimension. The email suggested that we should have particular concerns “about the invisibility of children with disabilities from an otherwise excellent report”. This is in fact an issue that I had intended to address in one of these postings but in many ways having received this email has added a certain urgency to the task. The cause of this sudden jolt into action is the authority of the individual who despatched the mail. 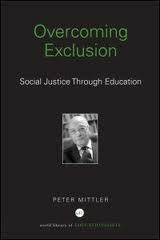 Professor Peter Mittler is indisputably one of the most influential researchers, writers and activists to have worked for the promotion of inclusive education through the latter half of the twentieth century and still active today. For many of us working in this field his influence and authority have been a guiding factor in our work for a more equitable society that recognises the rights of all individuals. When Peter speaks many of us sit up and take notice – his words of wisdom expressed by email have had the effect of keeping me on my toes! “Often children do not make it to school because of disadvantages they are born with. One of the most neglected disadvantages is disability. New analysis from four countries shows that children at higher risk of disability are far more likely to be denied a chance to go to school, with differences widening depending on the type of disability”. A careful scrutiny of the UNESCO report shows quite clearly that it has produced little if anything by the way of new information, though it does draw upon data collected by other agencies and reported elsewhere. In particular the document refers to the World Report on Disability produced by the World Health Organisation in 2011. Peter’s frustration that the report gives inadequate attention to the issue of disability is certainly understandable. The influence of poverty, and deprivation upon the Education For All goals are very well presented within the UNESCO report and are certainly factors that impact upon the rate of disability and its management in socially and economically disadvantaged countries. However, it is equally true to say that in all societies having a child with a disability in the family can lead to poverty, social isolation and deprivation, the very factors discussed by UNESCO in this report. Here we have a particularly vicious circle that surely warrants the attention of us all. “Children with disabilities are often denied their right to education. However, little is known about their school attendance patterns. The collection of data on children with disabilities is not straightforward, but they are vital to ensure that policies are in place to address the constraints they face. Statistics on the education experience of children with disabilities are rare in part because household surveys, which tend to be the best source of information on access to school by different population groups, do not have sufficient information on the degree or type of disability, or their sample size is too small to make it possible to draw accurate conclusions”. The reasoning given here relates entirely to the challenges of collecting accurate data with regards to the numbers of children presenting with disabilities. This may well be factually accurate, but it is most certainly true that in all societies there is a recognition that where socio-economic difficulties, issues of conflict or natural disaster are common, the incidence of disability is likely to be great and the provision made to disabled children inadequate. Whilst accepting that there are major challenges in quantifying matters related to the numbers of disabled children in many of the countries reported, there are other important issues that would have benefited from a more detailed discussion. I would suggest that this is not a matter of numbers, but rather one of principle. It does not matter if we are talking about 100,000 or 30 million disabled children, the fact remains that every child deprived of access to appropriate schooling is an indictment upon society. The report highlights the need for increased training of teachers, the provision of supportive teaching and learning resources, the development of technology and the implementation of supportive assessment procedures. It gives excellent examples of where such innovation has reaped rewards for children, but fails to provide an indication of how the lives of disabled children have been transformed through these processes in some of the poorest areas of the world. It is, of course, easy to be critical of a document that has so many excellent features. We should first of all commend the authors of the UNESCO report for the attention to detail that has been given to so many factors that lead to the marginalisation of children. But whilst accepting the reasons given for so little data related to children with disabilities, we should be pressing for changes to appear in the next report in order that we can all be given a clearer picture of both the challenges and the successes achieved in providing for disabled children. When we voice our concerns we must do so in a supportive tone. But to remain quiet is not a reasonable option. On my first visit to Bangalore in 2000 I was invited to speak to teachers and parents at a number of events in and near to the city. It was during this initial visit to India, facilitated through the hospitality of my dear friend Satish Inamdar that I first met Indian colleagues who have since become close friends, and with whom I have been working ever since those first sessions in the country. 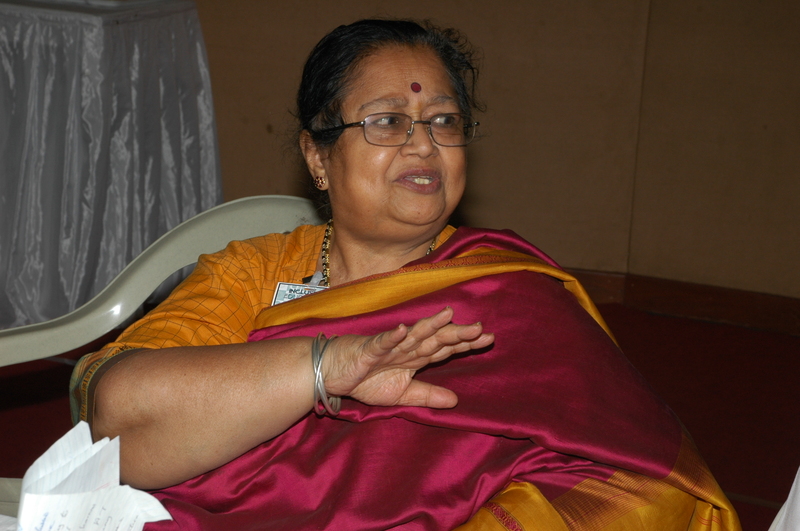 Jayashree Rajanahally has become a good family friend and has worked tirelessly to enable us to develop courses and networks with teachers and parents in south India and has been an influential figure in shaping the work that we do together on the MA in Special and Inclusive Education in the country. Her quiet influence has been an inspiration to myself and many others as we have worked together in India. Throughout the world I meet individuals whose drive and tenacity have been critical in establishing provision, support and training for those concerned for children from marginalised populations. As I consider the latest UNESCO Global Monitoring Report I reflect upon the work of these dedicated professionals and the impact that they are having on the lives of families. One such person is Mrs Rukmini Krishnaswamy who for more years than she cares to remember has been training teachers to work with children who have been rejected from schools and in some cases excluded from the basics that we would wish for all children. Mrs K still has immense energy, though her mobility is not as good as it has been in the past. She visits villages in remote areas to work with some of the poorest families in Karnataka State and continues to provide training to hundreds of teachers each year. Her commitment was to the fore of my mind as I read sections of the UNESCO report that considers the necessity to provide quality training for teachers. The report indicates that the numbers of available teachers in poorer countries has increased but that the quality of teaching is often limited as a result of the provision of unqualified or poorly trained teachers. “Many countries have expanded teacher numbers rapidly by hiring people to teach without training. This may serve to get more children into school, but jeopardizes education quality. In a third of countries with data, less than 75% of teachers are trained according to national standards”. “In India, all states have a caste-based reservation of posts to ensure that teachers are available in more disadvantaged areas and schools, but teachers with lower levels of qualifications are hired to fill the reserved positions”. “In India, states cannot fill their caste-based quotas for recruitment of teachers unless teachers with lower levels of qualifications are hired”. “Instead of getting adequate training and teaching conditions, teachers get the blame for poor learning outcomes”. Whilst the report finds much wanting in the provision of quality teaching for children in the most deprived areas, and recognises that teacher confidence in respect of addressing the needs of learners with disabilities or other disadvantages is often low, there are several examples of innovation and progress provided upon which we can all build. I am fortunate to work with groups of teachers in Bangalore who are focused upon improving the experiences of every child. These are the future leaders of education in south India and I feel confident that they have the ability to take their own learning forward and share it with others for the benefit of all children. It seems to me that colleagues like Mrs Krishnaswarmy and Jayashree Rajanahally have pioneered a way forward towards a more inclusive education system in Bangalore. I feel assured that there are others now waiting to take over the baton of leadership and to take the agenda on into a brighter future for all learners. “With the deadline for the Education for All goals less than two years away, it is clear that, despite advances over the past decade, not a single goal will be achieved globally by 2015. This year’s EFA Global Monitoring Report vividly underlines the fact that people in the most marginalized groups have continued to be denied opportunities for education over the decade. It is not too late, however, to accelerate progress in the final stages. And it is vital to put in place a robust global post-2015 education framework to tackle unfinished business while addressing new challenges. Post-2015 education goals will only be achieved if they are accompanied by clear, measurable targets with indicators tracking that no one is left behind, and if specific education financing targets for governments and aid donors are set”. It is easy to apportion blame, but to do so will have little or no impact upon the situation. The recently published Education For All Global Monitoring Report 2013/14, from which the above quotation is taken, makes it clear that the millennium development goals which were established to improve the lives of millions of disadvantaged individuals and groups are not going to be achieved. This is a terrible indictment of the lack of focus maintained upon one of the most critical factors of human rights, that of attaining equity and justice for marginalised individuals. However, simply wringing our hands and looking for a scapegoat is not what is needed at this time. We also need to bear in mind that those countries struggling to provide even the most rudimentary child care and education are often under pressure from many directions. Sub Saharan Africa is often cited in the report as an area of great concern. Imagine what it must be like here to be an education policy maker fighting for the rights of a child in an area of war or famine or environmental degradation. Where would you start to put things right? The report contains a vast amount of information and should be essential reading for all who claim to be working for a fairer education system and particularly those of us who sit in positions of comfort and privilege. The majority of individuals highlighted in this report are powerless and unlikely to effect the changes necessary to improve their lives unless they receive the support of those of us who have benefited from the services that others have been denied. There is far too much within this report to consider in a short piece such as this and I therefore intend to return to this important document over the coming days and maybe even weeks. Furthermore, I hope that those of us who have been entering into dialogue, or at least sharing the pages of this blog will keep the report to the forefront of their minds and those of others who have responsibilities for children and families. If you have something to say, post your comments – let’s try to learn from each other. My lone voice is powerless, but by involving others we may gain some momentum in the necessary debate. As a teacher I am always urging my students to begin with an analysis of strengths rather than simply finding fault, and there are certainly some positive statements within the latest Education For All Global Monitoring Report. So my early attention will be to those improvements in the lives of children identified by the authors of this important document. Sadly, when positives are reported they are often accompanied by a caveat reporting a more negative view of specific regions. “Since 2000, pre-primary education has expanded considerably. The global pre-primary education gross enrolment ratio increased from 33% in 1999 to 50% in 2011, although it reached only 18% in sub-Saharan Africa. The number of children enrolled in pre-primary schools grew by almost 60 million over the period”. A focus upon this aspect of education has clearly reaped rewards, even if this is an uneven picture. There are committed organisations and individuals working hard to give children a better start in life. In India I am aware of the important work undertaken by organisations such as the Madhuram Narayanan Centre for Exceptional Children who have been working with UNICEF to train teachers and other professionals in providing support in the early years of children’s lives. Since my first visit to Bangalore in 2000 the work of good colleagues such as Mrs Rukmini Krishnaswamy (affectionately known as Mrs K) who have supported parents alongside training thousands of teachers, have impacted positively upon the early identification and support of children, many from poor circumstances. These organisations and individuals give us cause to believe that the situation can be improved. “In many parts of the world, however, there is a wide gap in enrolment between the richest and poorest. Part of the reason is that governments have yet to assume sufficient responsibility for pre-primary education: as of 2011, private providers were catering for 33% of all enrolled children, rising to 71% in the Arab States. The cost of private provision is one of the factors that contribute to inequity in access at this level”. I stated earlier on this page that I would try today to emphasise a positive angle from the report. Whilst it may be easier to find fault than to celebrate success, there is some indication that figures are moving in the right direction. Sadly, the rate of progress is painfully slow and as indicated in today’s final excerpt from the report included below, it looks destined to remain tardy for the foreseeable future. But let us consider this. Behind every small step of progress there are individuals working hard for the improvement of children’s lives. If every one of us can increase our own efforts and the support that these committed individuals are given by just 1% then we will see improvements over the coming years. “No target was set at Dakar in 2000 to guide assessment of success in early childhood education. To gauge progress, this Report has set a pre-primary education gross enrolment ratio of 80% as an indicative target for 2015. Of the 141 countries with data, 21% had reached the target in 1999. By 2011, the number had risen to 37%. Looking ahead to 2015, it is projected that 48% of countries will reach the target. An 80% target is modest, leaving many young children, often the most vulnerable, out of pre-school. Any post-2015 goal must provide a clear target to make sure all young children have access to pre-primary education, and a way to track the progress of disadvantaged groups to be sure they do not miss out”.